I spilled my cuppa over my keyboard and now my computer is crippled. This is written via my smartphone. I am in the midst of moving and have thrown and given away most of my furniture. Feels lighter after clearing alot of junk I collected over the years. Almost no possessions now and definitely no religion too! ps. 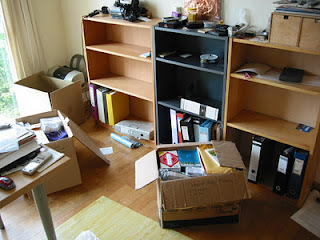 I have some posts of my past moving woes. It makes amusing reading, and now looking back, also rather educational. Click here.